We will meet at 6:00 pm in the upper parking lot of the Fullerton Sports Complex located south off Bastanchury road between Brea and Harbor Blvd. For directions use 560 Silver Pine Street, Fullerton. Directions from Snails Pace Running store : West on Imperial Highway, left on Brea Blvd, Right on Bastanchury Road, Left on Silver Pine street (note that this street has two names. The other one is Fairway Isles Drive), quick left, then quick right to enter the parking lot. East on trail toward Brea Blvd. Trail ends at Brea Blvd/ Ashburn Ter. 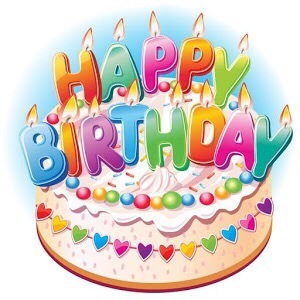 Happy Birthday Michelle W. and Robert S. Their birthday is on Wednesday (7/19). We wish you an awesome day!